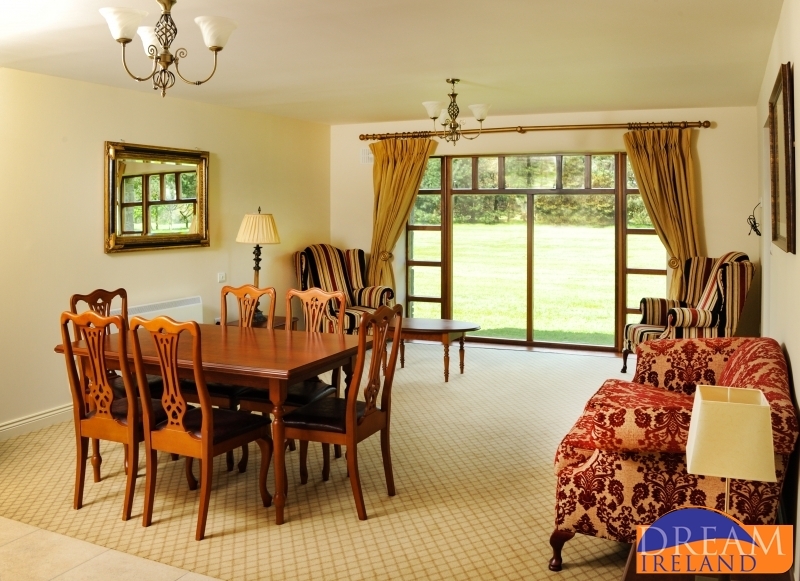 These brand new three bedroom Lodges form part of the newly renovated Kilkea Castle Estate in Co Kildare. 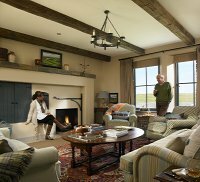 Located right beside the Club House and the Octagon Restaurant guests of The Lodges can enjoy all that this wonderful luxury Estate has to offer. 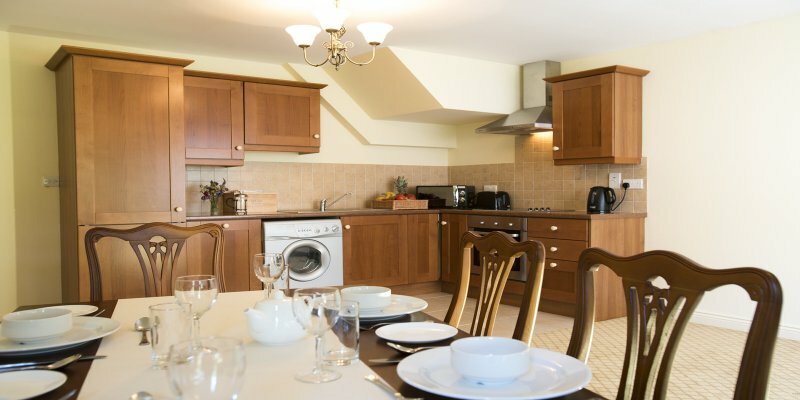 The living room is cosy yet stylish and the kitchen is very well equipped. There is a patio area off the main living area. Downstairs are two bedrooms, both of which are ensuite. Upstairs is the third bedroom with a balcony area. This bedroom is also ensuite. Please note that there are three showers but no baths in the Lodges. 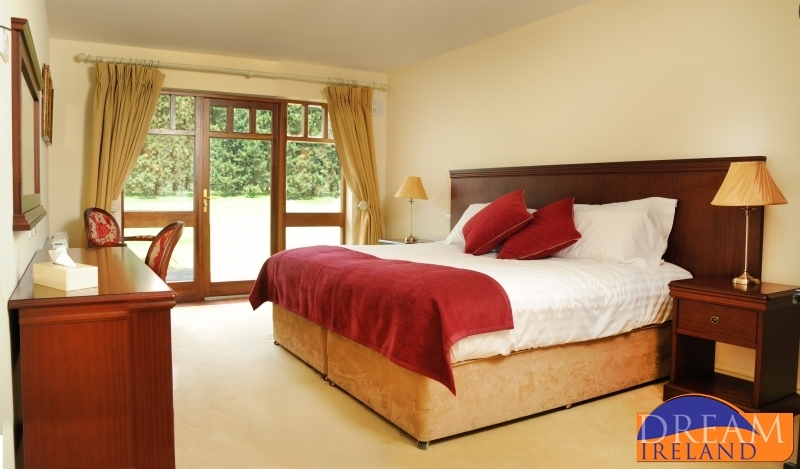 All bedrooms feature King Size beds. 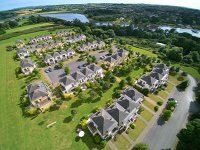 Less than an hour's drive from Dublin City Centre and located on the edge of our popular Golf Course. 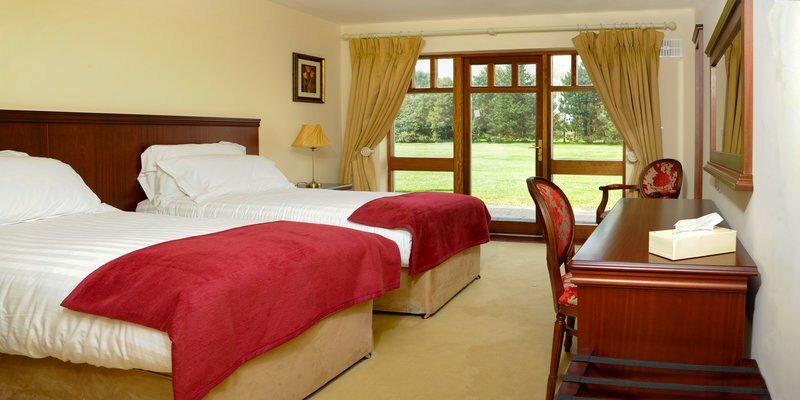 Ideal for a Family Break, Ladies weekends away shopping at Kildare Village, Golf /Walking/Fishing Breaks, visit the National Stud and Gardens or enjoy the atmosphere of Naas, Punchestown or the Curragh Race Courses. 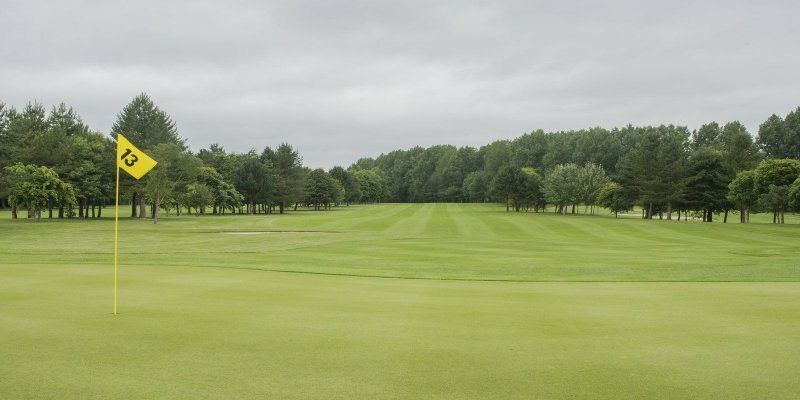 18 hole par 70 championship parkland course measuring 6200 metres has been developed in this magnificent setting beneath the shadow of a 12th century Castle. 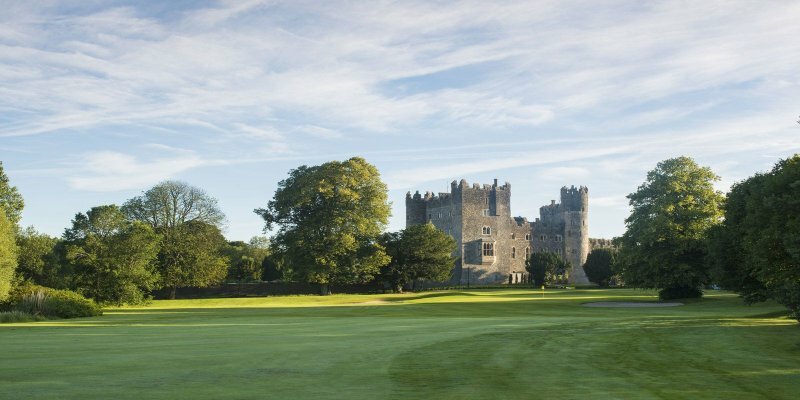 It allows the splendor of the Castle to be viewed from every fairway. The course construction uses the River Greese as a natural hazard flowing through the grounds of the Castle. You will encounter the river at almost every hole. Two lakes have also been included into the design, adding to the overall challenge. Of course its not for nothing that Kildare is known from Australia to Kentucky to the Arabian deserts as the “Thoroughbred County”. Come gallop with us through the heartland of Equestrian Ireland. We offer memorable horse riding experiences and help you discover the thrill of exploring our beautiful countryside on horseback. The classic Castle pursuit. 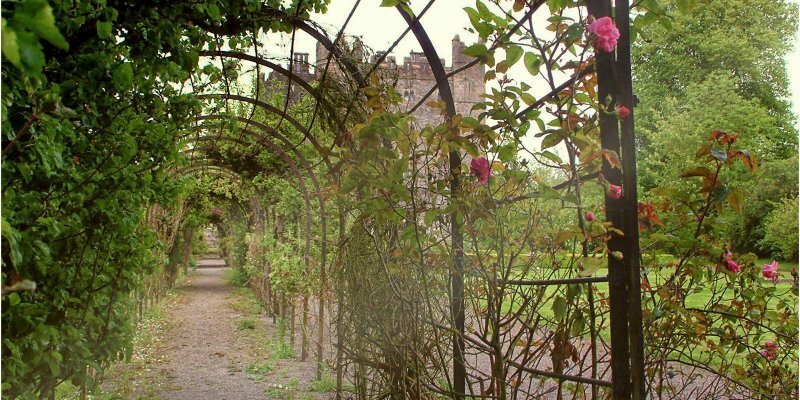 It has been around for 15,000 years and now Kilkea castle makes for an amazing backdrop for your very own version of Game of Thrones. An amazing family sport. A noble and ancient sport, offers a unique and memorable experience. The majesty of Falcons, Owls and Hawks can be experienced amidst the backdrop of our historic Castle. The River Greese which flows through the estate and is known for being small but fast flowing with plenty of deep pools. It is a beautiful clear little river which presents a challenge to the best of fly fishers. All fishing trips must be accompanied by our expert Ghillies. Guests will fish for Trout and Salmon and must have a permit. 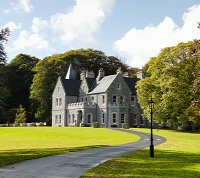 Discover our 180 acre estate or go a little further afield and explore Mullaghreelan Wood, a mixed woodland which was once part of the estate and has 2 beautiful 2km overlapping walks. You can extend your walk by exploring the smaller connecting paths and discover the joy of the abundant springtime Bluebells. Trees are a mixture of Native Oak, Ash, Holly and Elder. There are also Buttercups, ground Ivy, Lords and Ladies and so many more Ferns among the ground Flora. 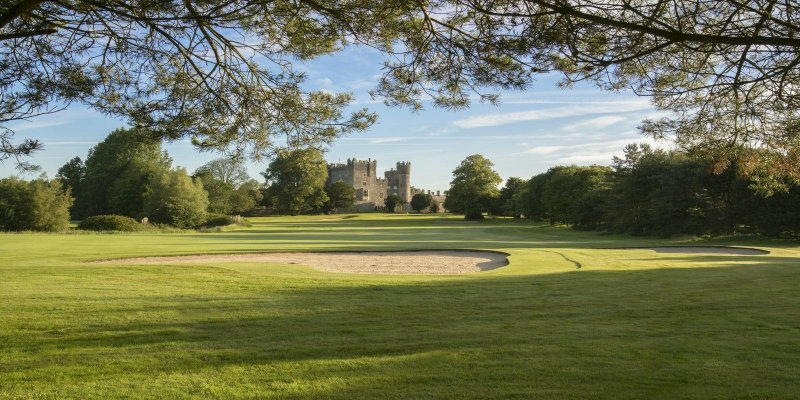 The Clubhouse at Kilkea Castle has undergone extensive remodelling and sits proudly overlooking the 9th Hole with occasional glimpses of the historic 12th century Castle filtering through the windows. The Clubhouse offers the choice of Jays Bistro or The Octagon. Jays Bistro offers an informal dining experience and is ideal for the returning golfer or guests who simply love choice and plenty of it. Our selection of healthy breakfasts, lite bites and hearthy mains will make your mouth water. The bistro offers all day dining serving the finest dishes and does not disappoint. A perfect social hub for relaxed family suppers, long and lazy Sunday brunches, and wonderful breakfasts. The Octagon is ideal for celebrating special occasions or simply celebrating life. Share your special moments with us in The Octagon a simple and sophisticated setting which demands your attention. 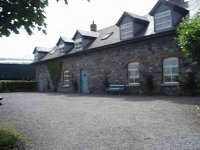 Situated in Irelands Ancient East and known for its lush green landscape. 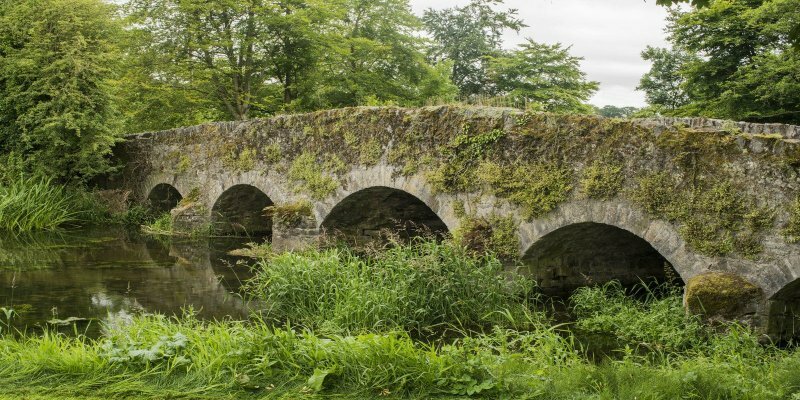 Over 5,000 years of history lie buried within the verdant meadows, bustling towns and rugged stone monuments of Ireland's Ancient East. Each landmark has its stories to tell, as indeed do the locals, who delight in telling tales that are rich in famous battles and magic rituals.